Many older adults (90 percent) prefer to live in their own home (AARP 2013). Even if they need daily assistance or health care, most of them (82 percent) say they would still prefer to receive that care in their homes (AARP 2013). Some older adults choose a Continuing Care Retirement Community (CCRC) as their home – one that offers progressive levels of health care from active, independent living to long-term care. Other older adults stay in their own homes, often with long-term services and supports, until the time comes when a move to assisted living or a long-term care residence is the right thing to do. The cost of medical care received in continuing care retirement communities, assisted living and long-term care residences (nursing homes) is generally tax deductible. People who pay for these costs should consult with a tax expert to ensure they take and maximize all available deductions – for example, the time of year a person enters an assisted living facility might increase the amount of his or her tax deduction. In all cases, expenses that are reimbursed by Medicare, Medicaid, long-term care insurance, and other insurance or programs are not tax deductible. The portions of continuing care retirement community (CCRC) entry fees and monthly fees that cover prepaid health care and medical expenses are generally tax deductible. The very definition of “medical” expense is malleable, and the middle ground, inhabited by most senior living communities, that lies between traditional, deductible, “institutional” health care and nondeductible residential services and accommodations, is sometimes difficult to categorize. The increasing complexity of resident fee structures and refund arrangements casts further doubt on when a payment should be characterized as an expense, and what fees are attributable to medical care. 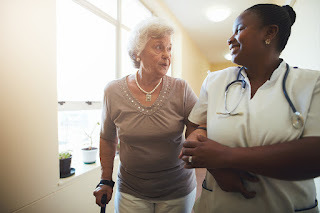 Generally, the cost of direct and substantial medical care (for example, for dementia or special needs) received in an assisted living facility qualifies as a medical deduction if a licensed health care professional certifies the care receiver needs ongoing help to perform at least two activities of daily living or requires supervision because of cognitive impairment, and prescribes a plan of care for the care recipient. The entire cost of nursing home care, including meals and lodging, is a deductible medical expense if a person, or his or her spouse or dependent, is there primarily to receive medical care. A person who is in a nursing home mainly for personal reasons can deduct expenses for medical care but not meals and lodging. Taxpayers under age 65 who claim a person living in a nursing home as a dependent must reduce the total medical expenses by 10 percent of their AGI. See “Whose Medical Expenses Can You Include” in IRS Publication 502, Medical and Dental Expenses. Many resources are available online for more information about deductible medical expenses in long-term care residences. In addition to the IRS website, see “Medical Expense Tax Deductions: A Guide for Senior Living Providers and Residents (Gordon, 2012) in the “References” below. "Livable Community Indicators for Sustainable Aging in Place," AARP (2013). Gordon, Paul. "Special Issue Brief. Medical Expense Tax Deductions: A Guide for Senior Living Providers and Residents," The American Seniors Housing Association (Summer 2012). "Proposed New Requirements for Tax Return Preparers," Tax Information for Tax Professionals (2010). TaxBook 1040 Edition (2012). 2012 Tax Year. Minnetonka, MN: Tax Materials Inc.